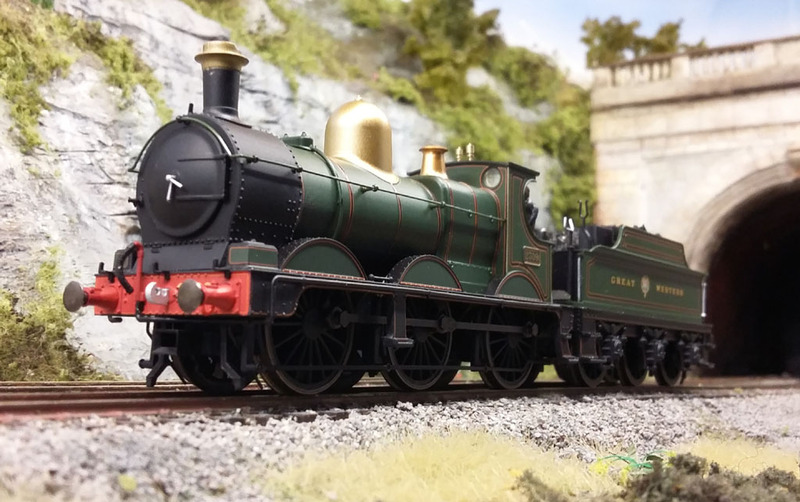 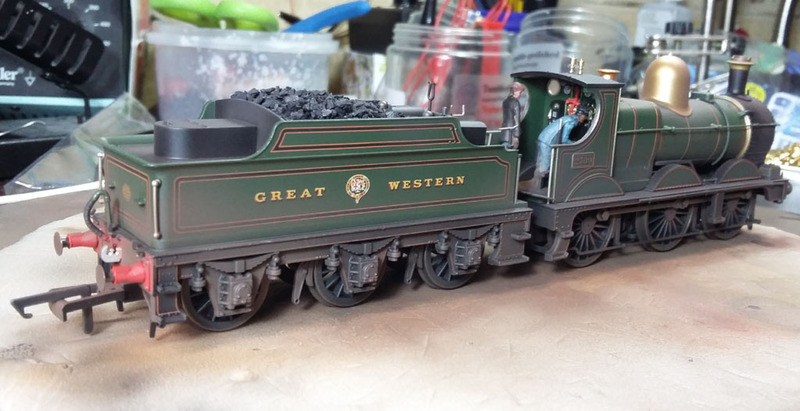 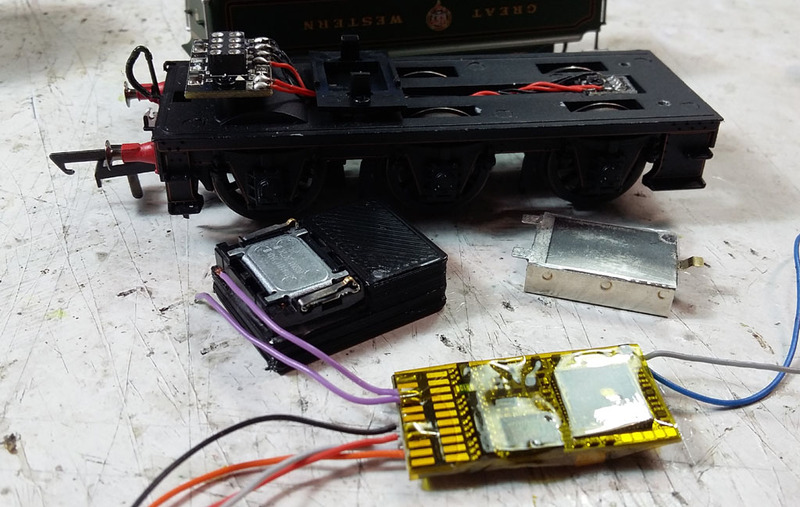 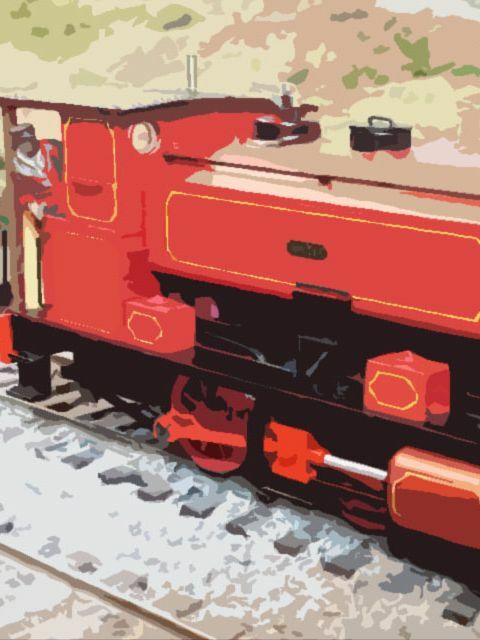 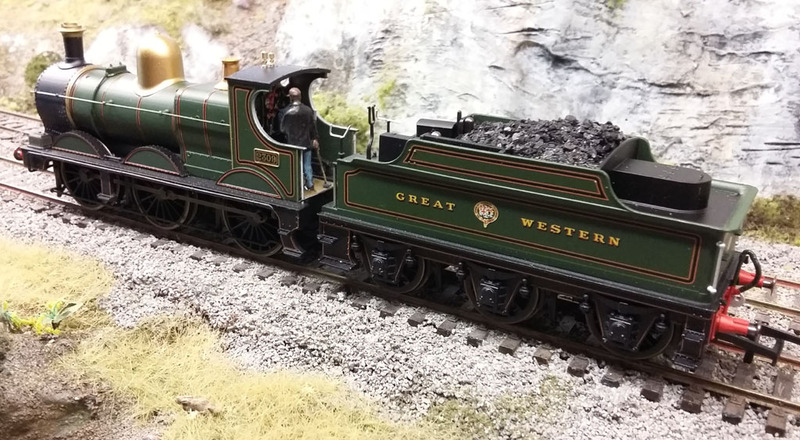 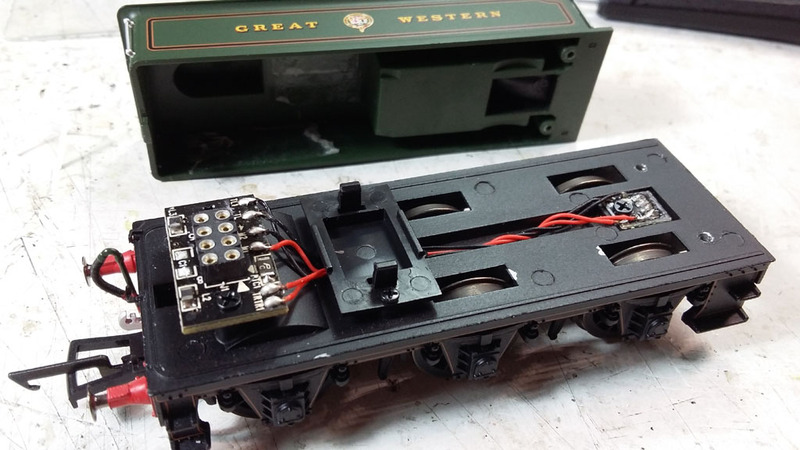 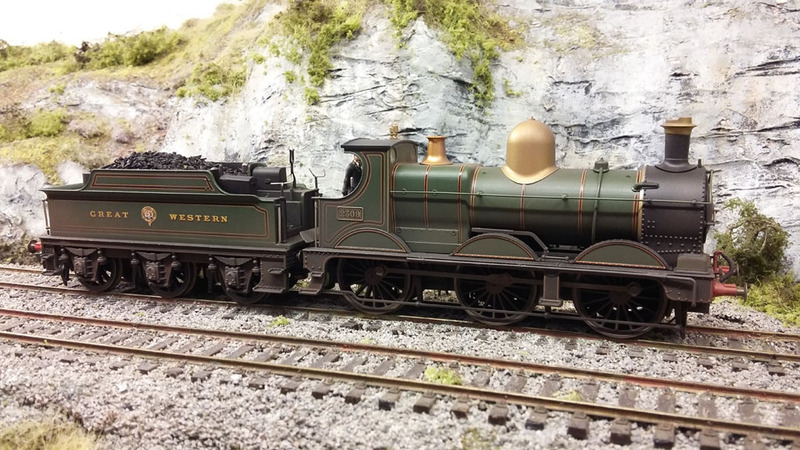 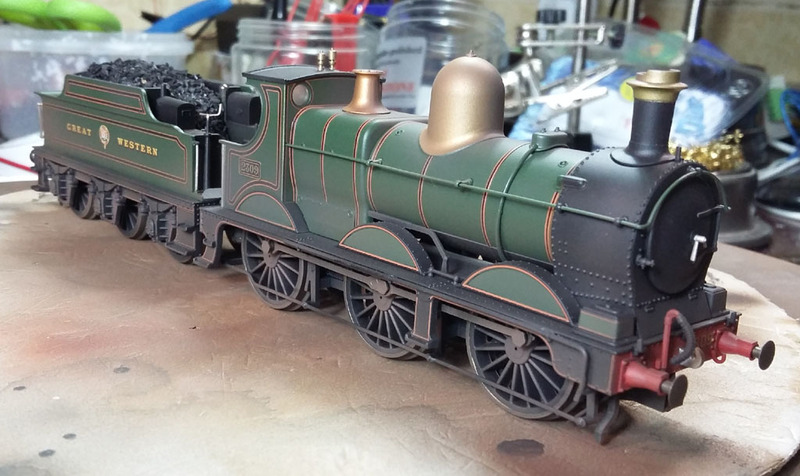 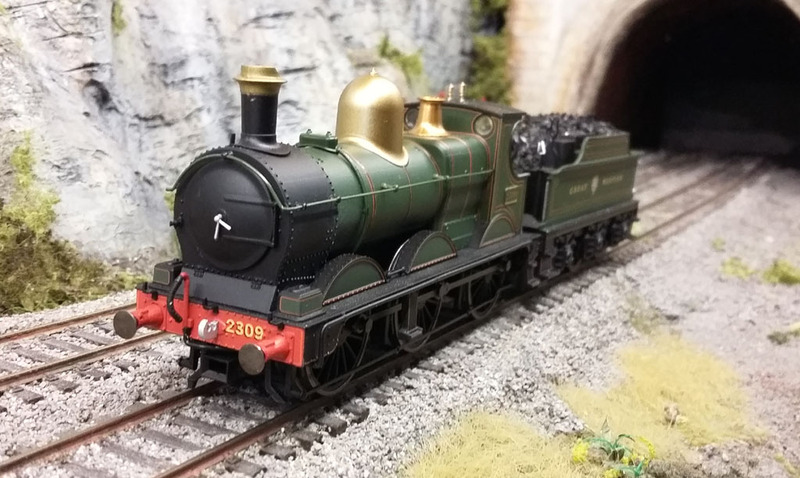 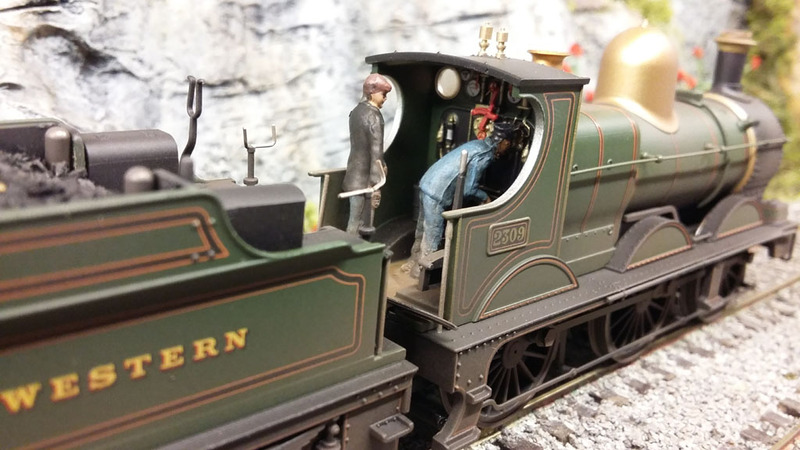 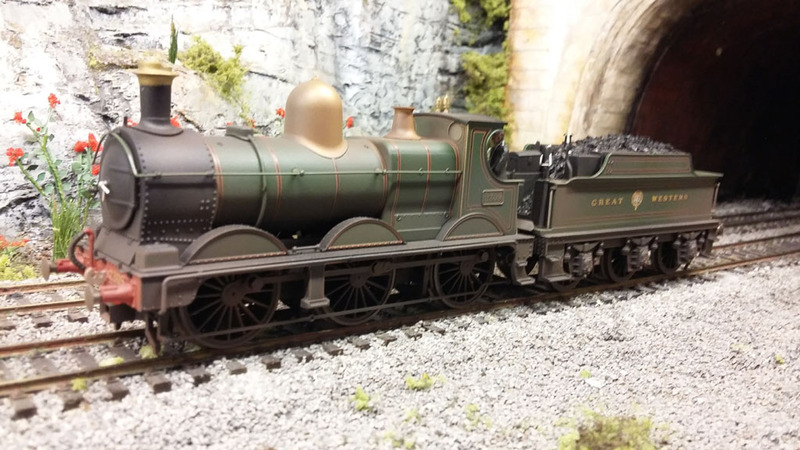 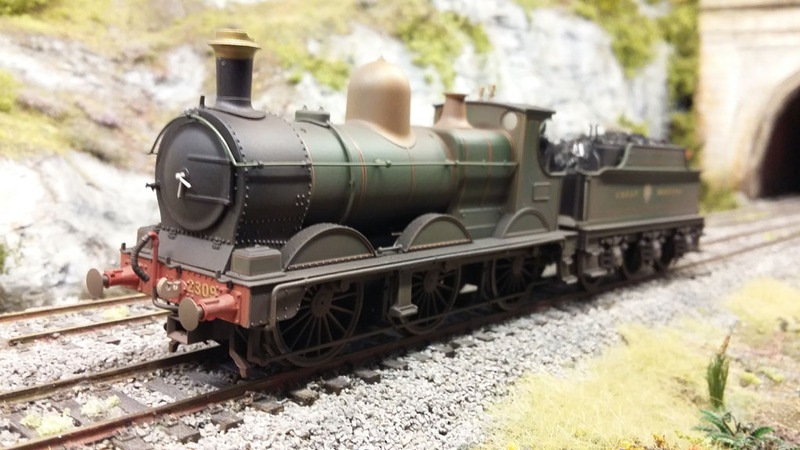 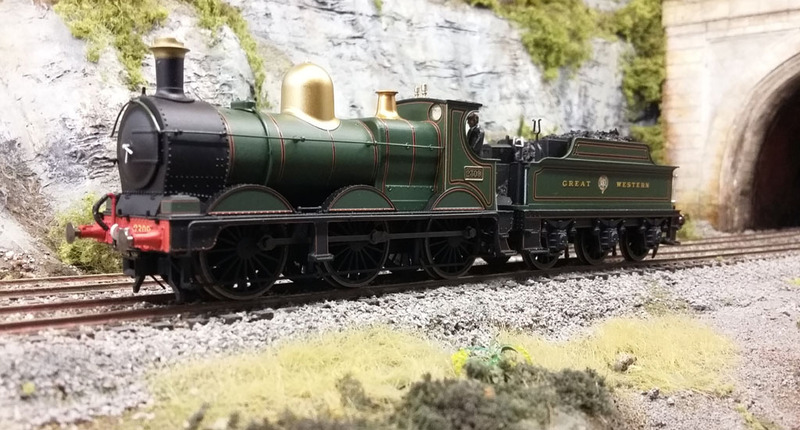 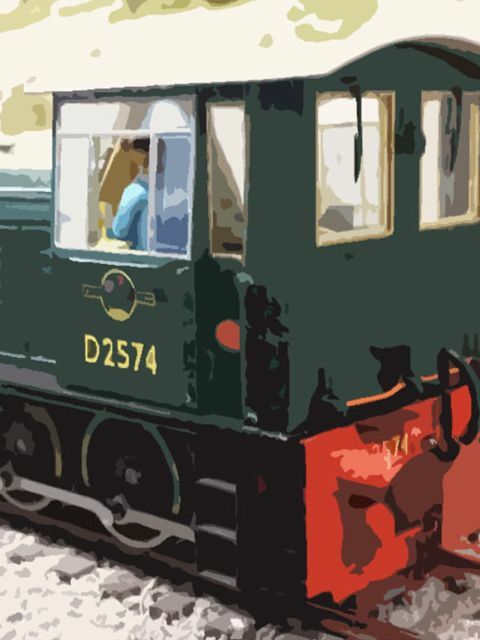 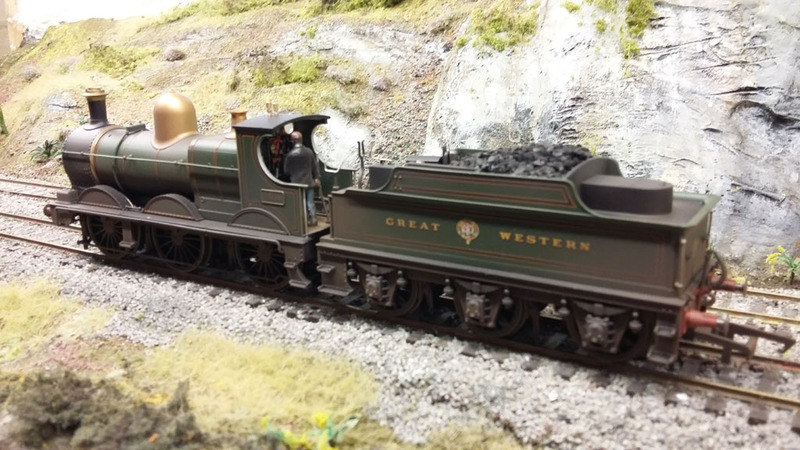 Oxford Rail are learning fast, and their GWR Dean Goods proves to be a great model in terms of build, running, and design. 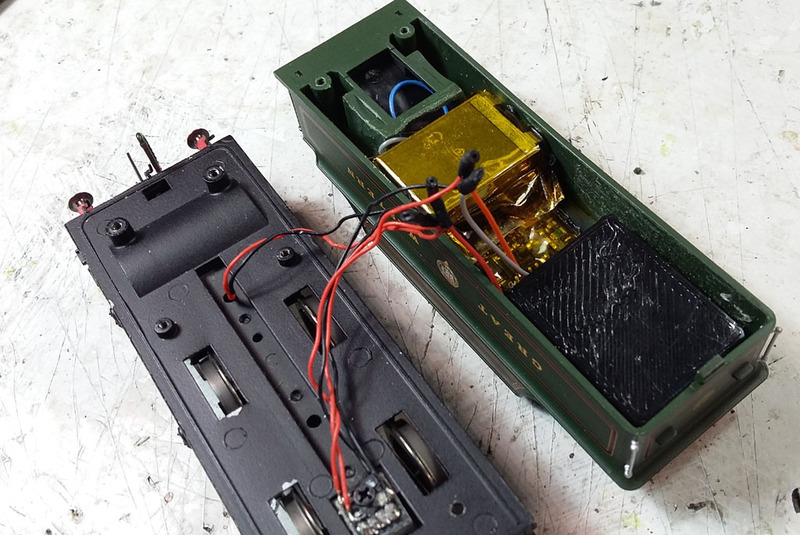 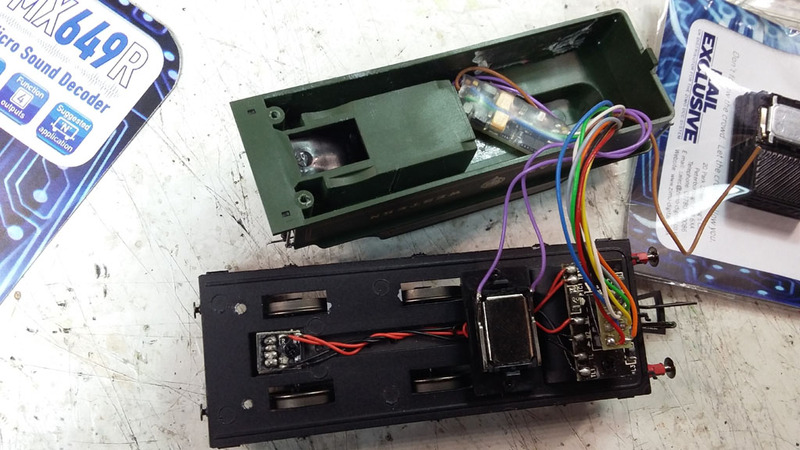 The tender provides a well designed space for a small sound decoder (MX649R or MX648R will plug straight in) and a custom plastic enclosure is provided for a 15x11mm speaker (without enclosure). 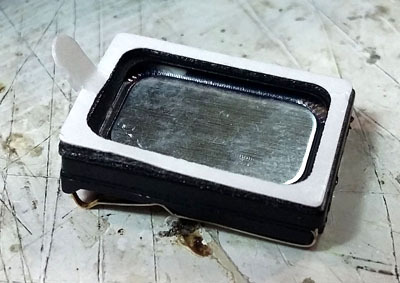 YouChoos has such a speaker which can be supplied with a sticky gasket, so there's virtually no effort putting it in, making the overall install one of the quickest. 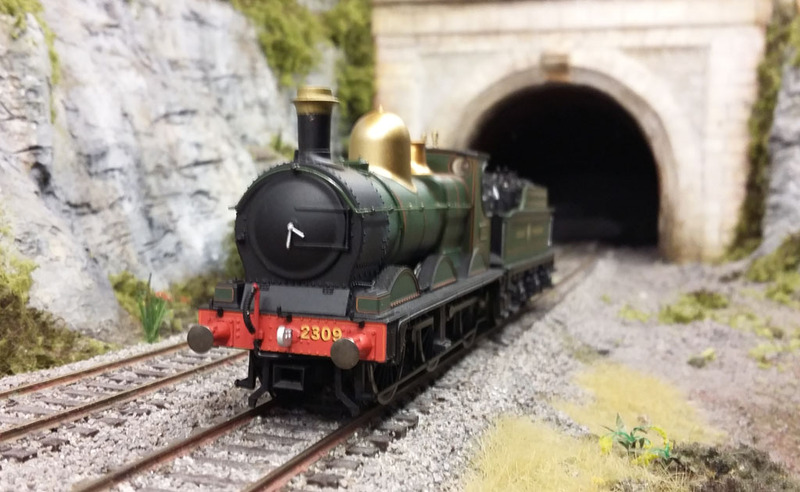 We've used the Collett 2251 Goods sounds for this install, which works very nicely. The only complication we had was that the smaller Zimo sound decoders have their BackEMF confused (feedback from the motor which tells the decoder what motion is really happening), and won't run properly unless you remove the small surface mount capacitor from the rear centre of the 8pin DCC socket board. 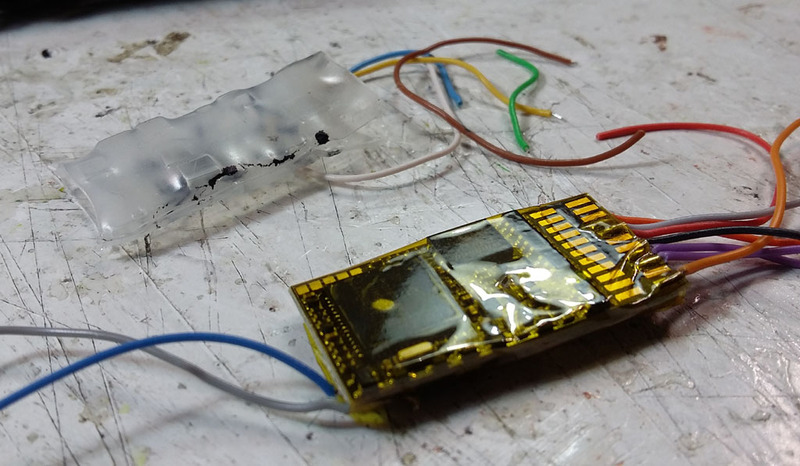 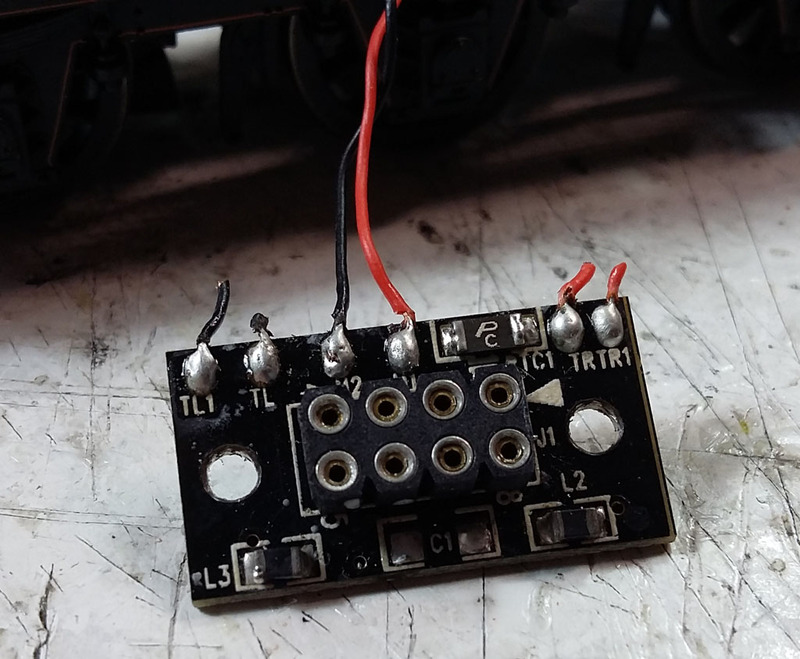 Easy enough to do - just de-solder it and suddenly the motor control is perfect! 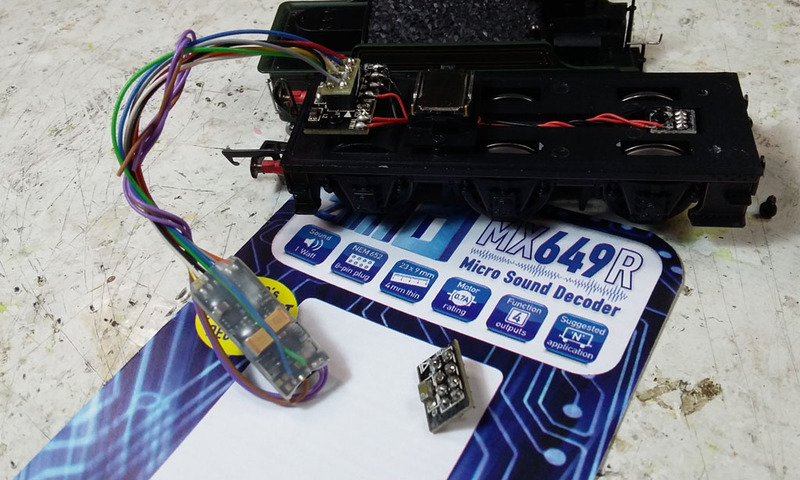 Note that the larger MX645R had no issues, or the basic MX600R non-sound decoder. 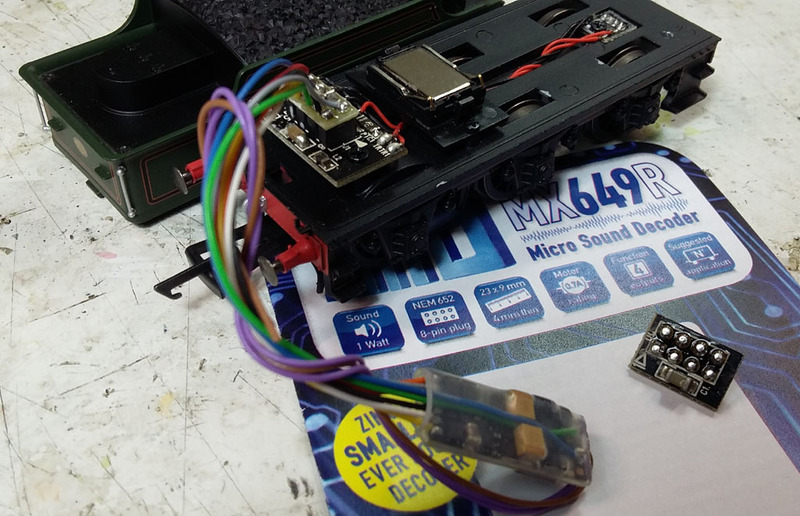 This time we gut the tender of the Dean Goods to make space for the larger MX645, hard-wired, with excellent Zimo Dumbo LS26X20X08-1W speaker (NB or IceCube25X18X08-1W) and a YouChoos SuperCap6800uF for stay-alive (NB or SuperCap17000uF). 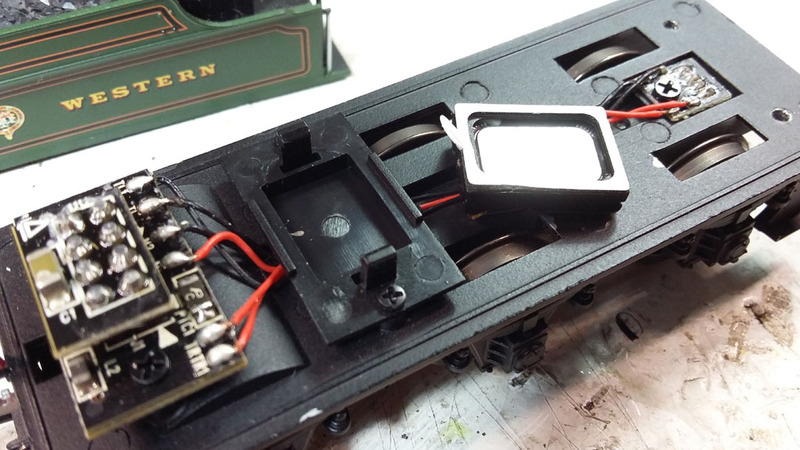 Start by removing the DCC socket and the provided cube speaker mount that came with the model. 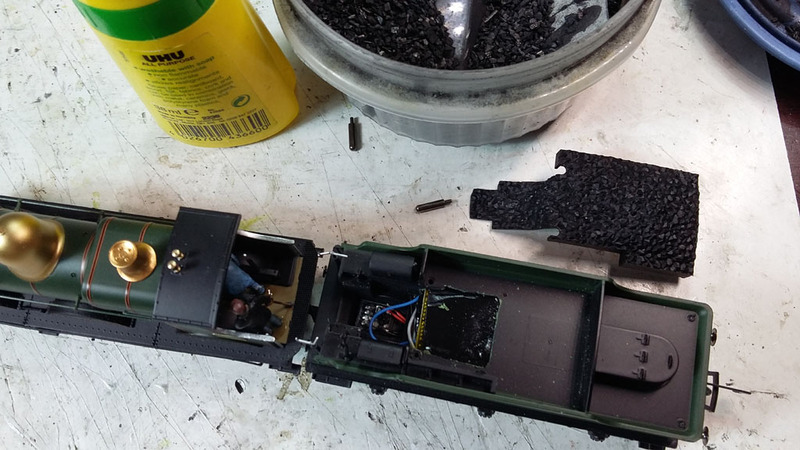 Next we prepare the decoder - to make it neater, we remove all unwanted wires (all function outputs and common positive blue, as we are not adding any lights), and also remove the protective sleeve, which will be replaced with some thin Kapton tape - saves another mm or so in height. 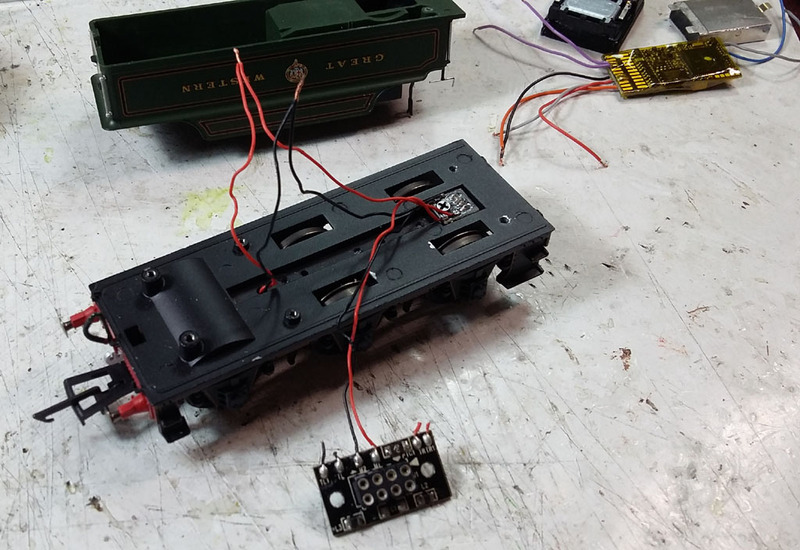 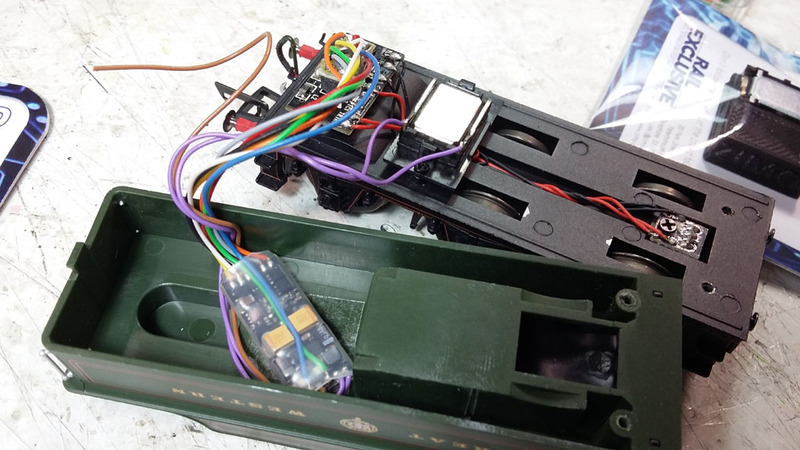 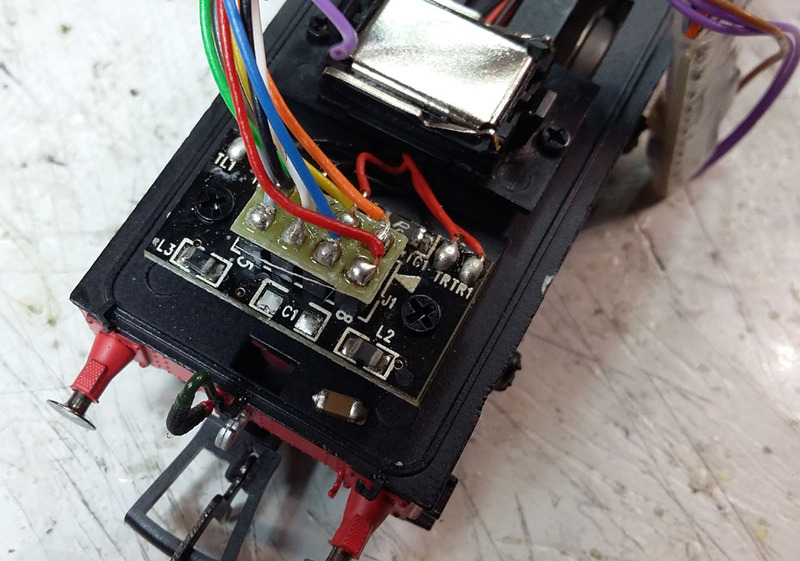 Connect up the speaker to decoder, and remove the DCC socket, carefully marking which wires came from where (2 red for right-side pickup, 2 black for left-side pickup and the centre pair of red + black are the motor wires). 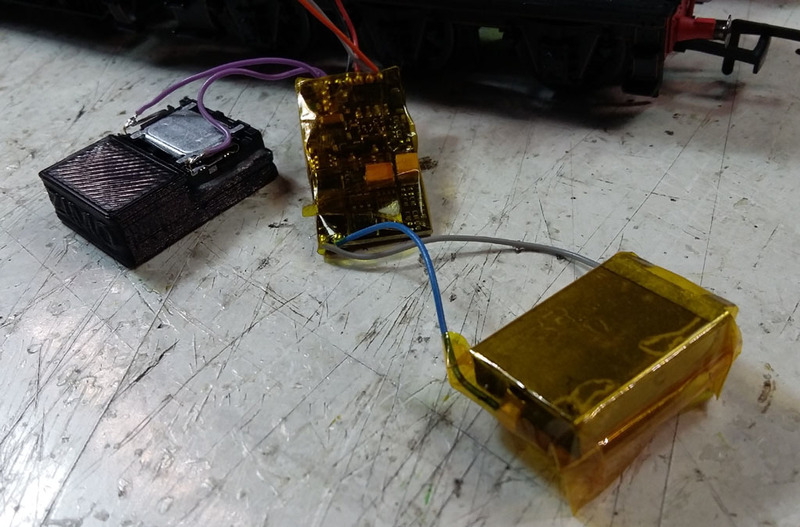 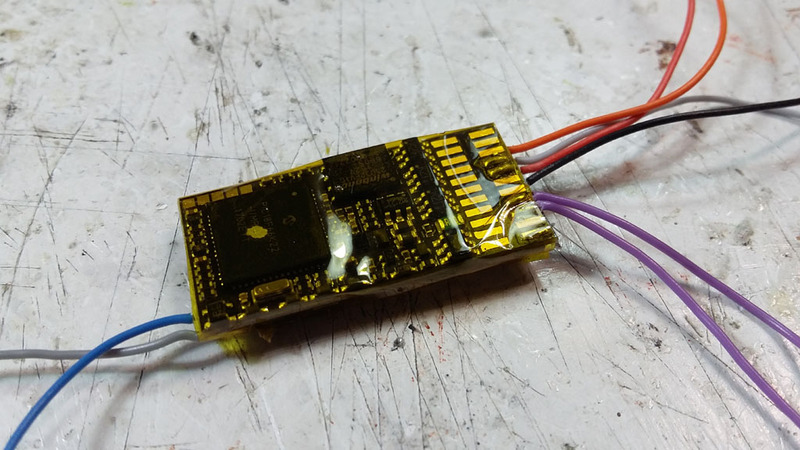 Connect the SuperCap and cover with Kapton tape too (the case of the capacitor is the -VE terminal, so must be insulated properly). 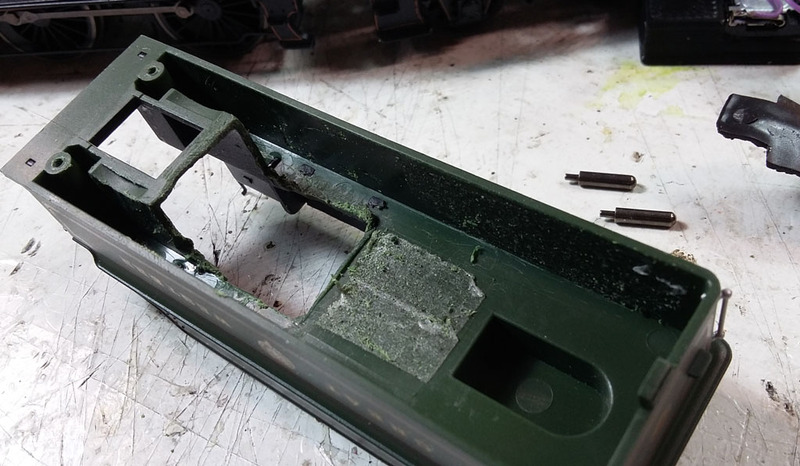 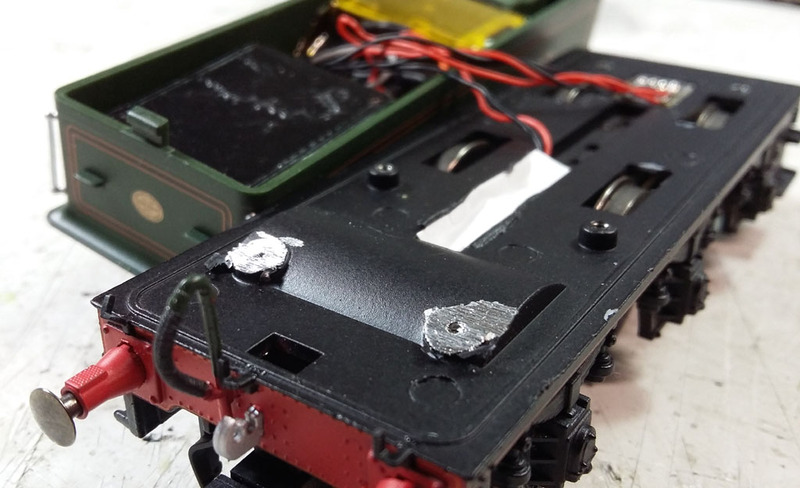 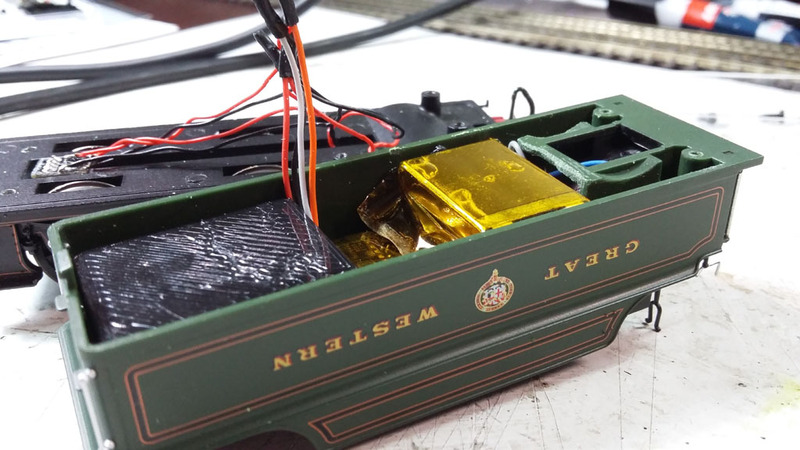 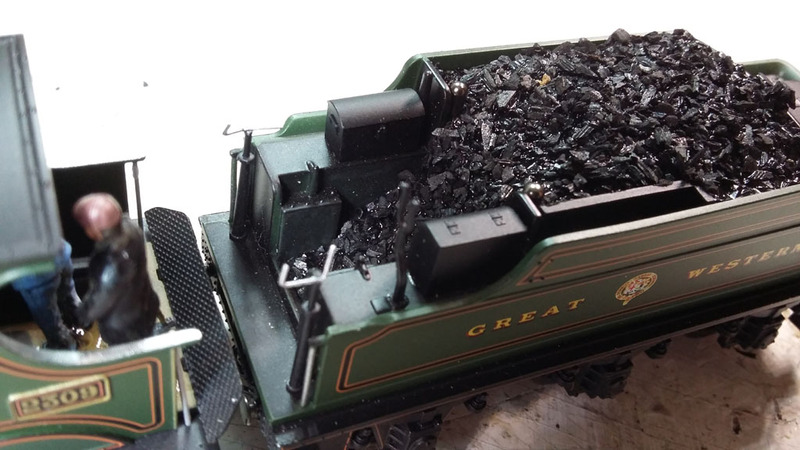 Cut the green plastic under the coal load as far back as you dare - we need all the space we can get to fit in the decoder and SuperCap toward the front of the tender. 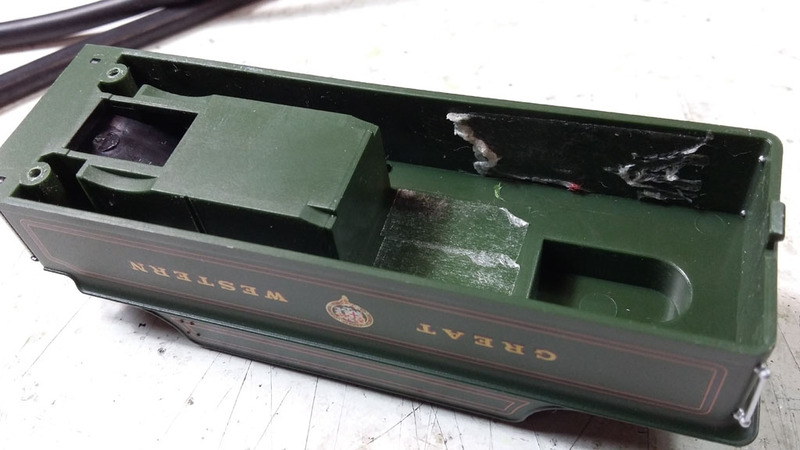 Secure everything to the roof of the tender with Black-Tack. 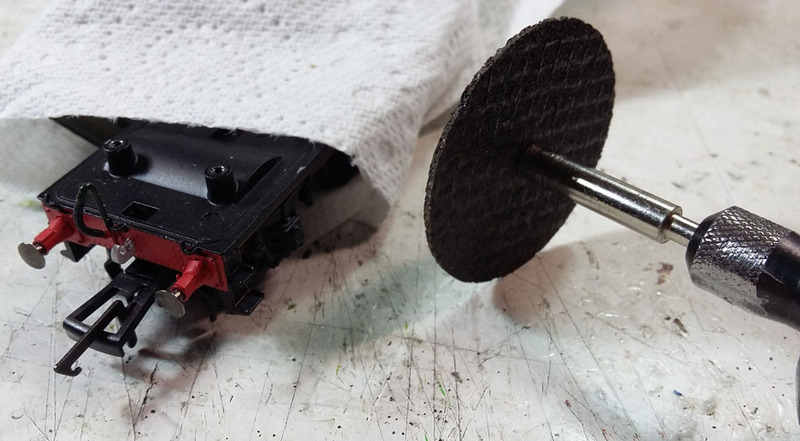 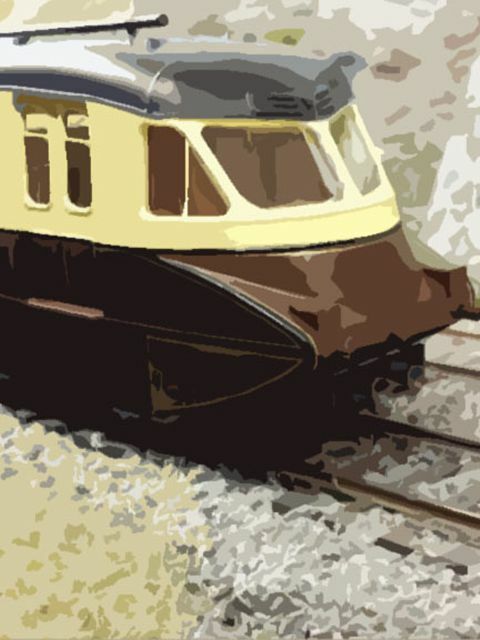 A little clearance is required in order for the tender wheels to spin freely. 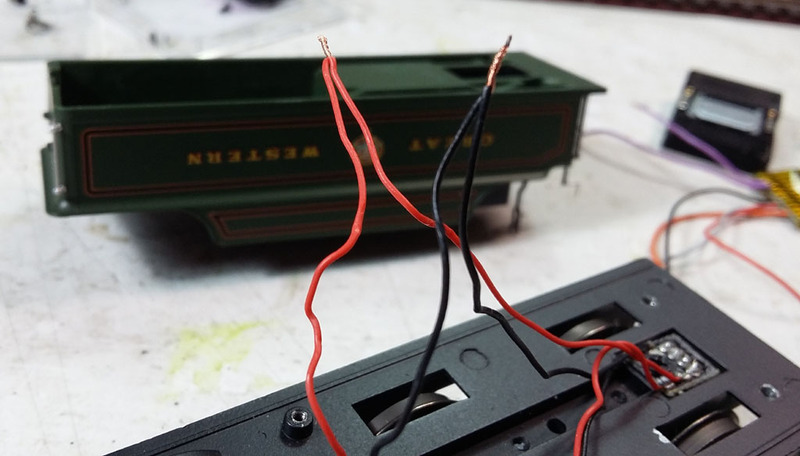 Note we have a convenient gap remaining for the wires to tuck into. 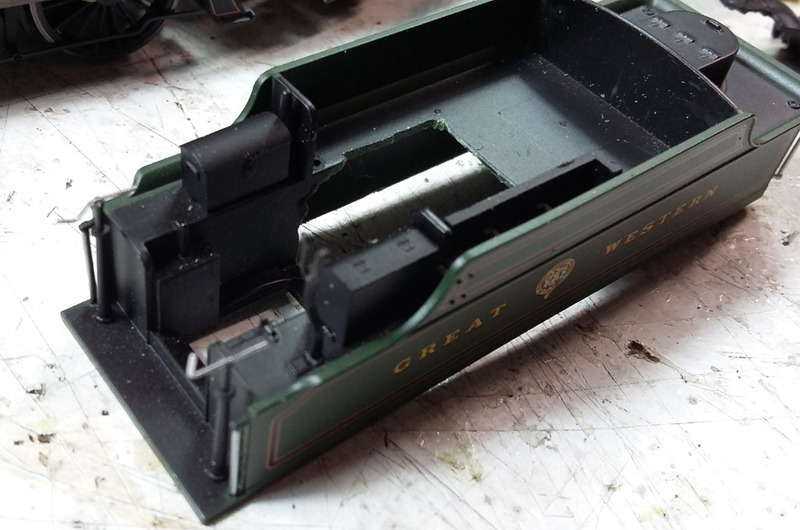 Probably should have done this earlier, but realise that the metal screw mounts where the DCC socket were sit too high and will prevent the tender body going back on flush, so grab the Dremel and grind them down. 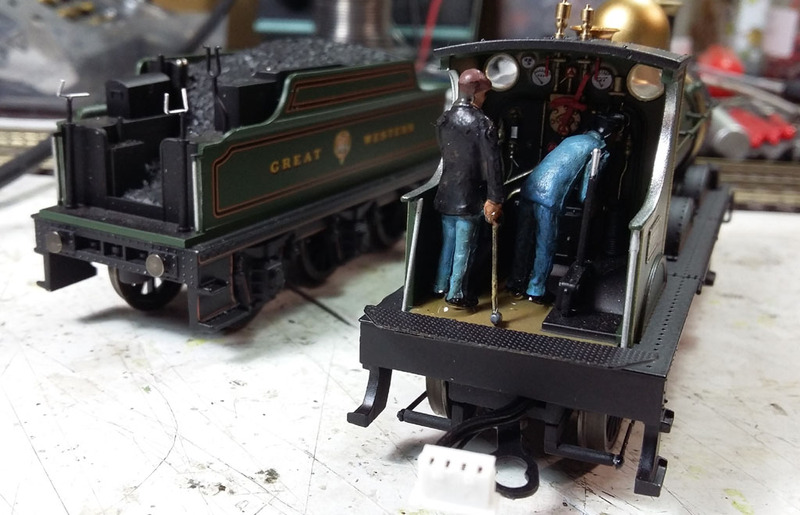 Add some mucky crew figures. 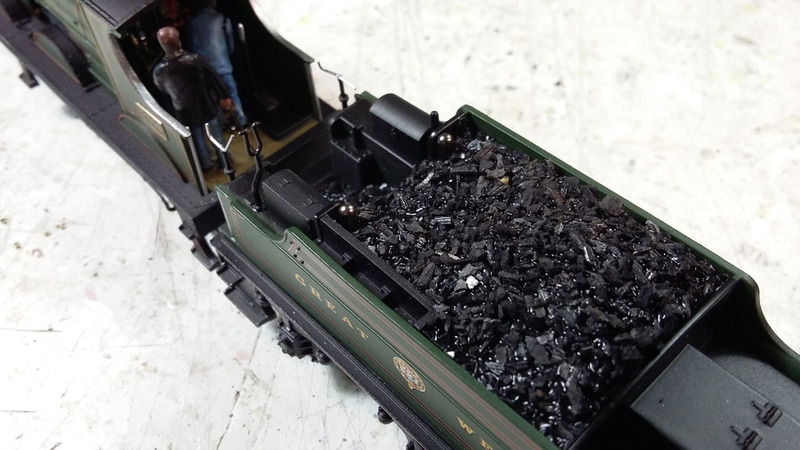 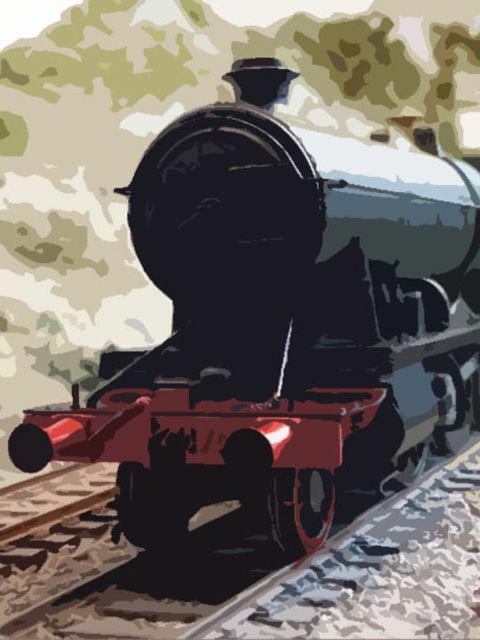 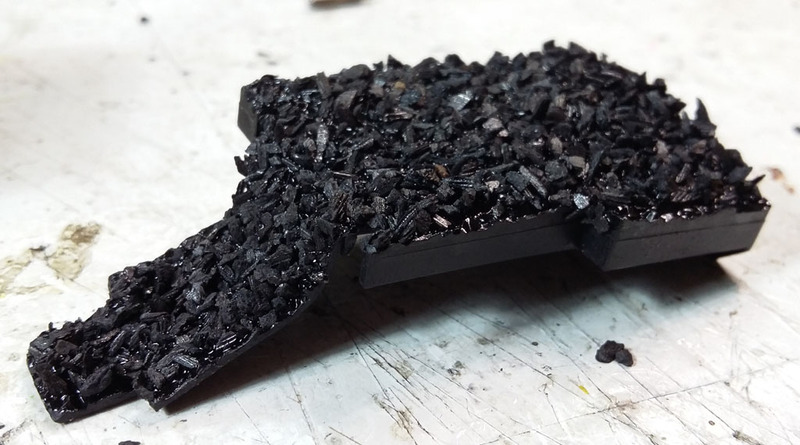 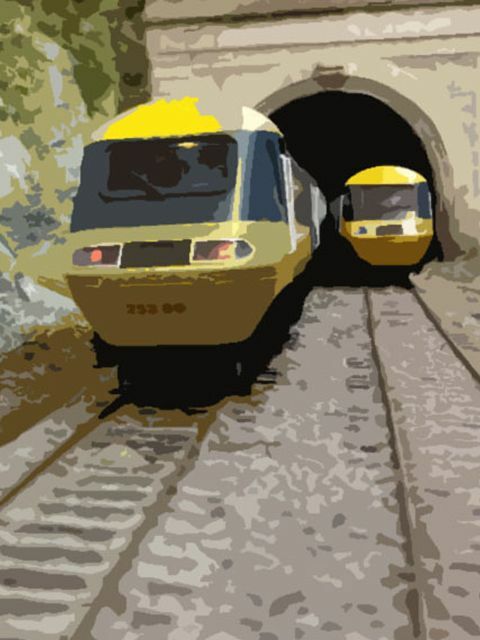 Glue some coal ballast to the plastic coal load to improve the look. 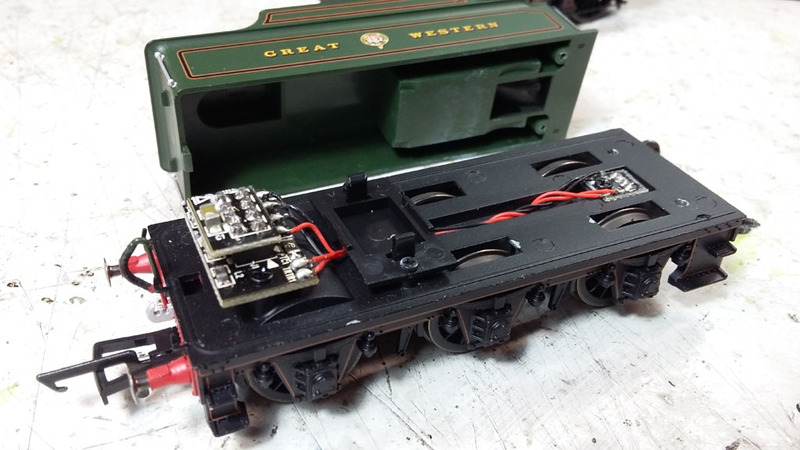 Here's the result... actually a very neat install, and not too hard. 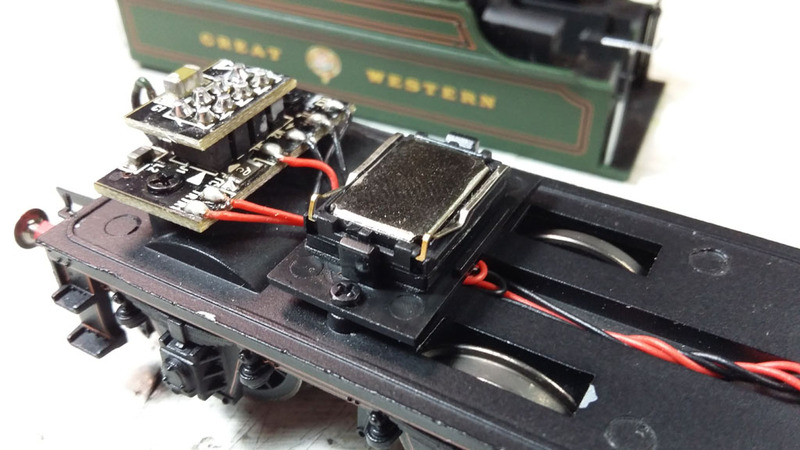 Totally packed tender, but great kit, good running, and loads of punch from the Dumbo speaker... not to mention plenty of backup power from the SuperCap.